This is the first book published through our school. Gandhi asked us to, "Be the change you want to see in the world." But, what change can each of us make that will explicitly make this world a better place in which to live? 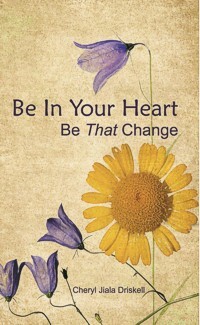 Within the Be In Your Heart book, you learn about how to bring your Heart to the center of your life and release all of the unawareness that keeps you outside of it at times. In a gentle and thoughtful approach to releasing your fears and responding to life with compassion, you will be inspired to carry new messages about life's treasures and the significance of your presence and the presence of all beings here in our world community. Then you will truly see and BE THE CHANGE you want to see in the world!